At AppsFlyer, we provide our customers (app advertisers) an analytics dashboard to track the performance of their advertising campaign. 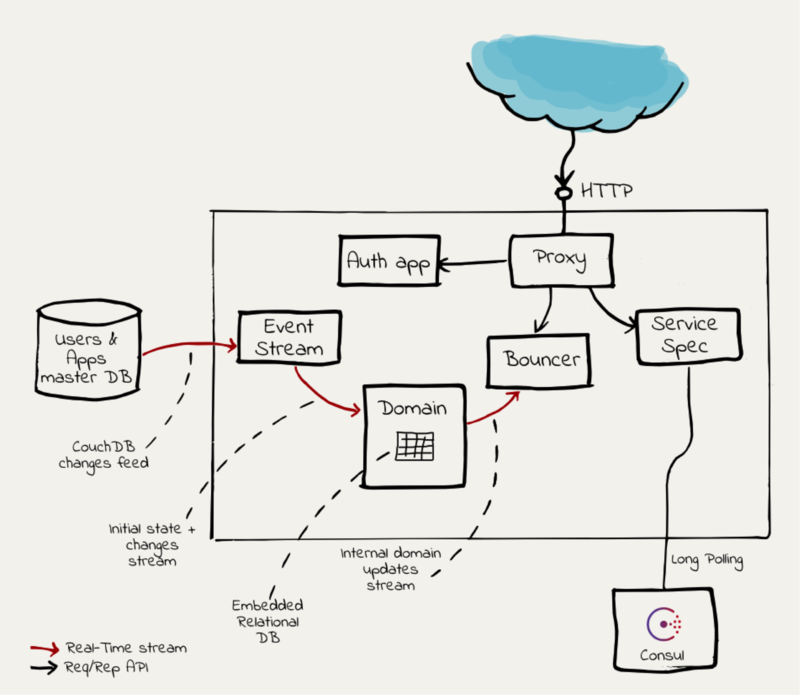 From the beginning we worked with a service oriented (event driven) architecture on our backend. We wanted to maintain the service orientation benefits on our customers facing web app as well. The first implementation outside the monolithic app walls was the our retention report. It was developed in Clojure and really left us wanting to release ourselves from the monolithic app shackles. During the development of the retention reports, we obviously had to implement authentication and authorization. However, to make it feel as part of the whole, it had to be compatible with the current authentication mechanism of the Pyramid web app. In order to achieve that, we reviewed the Pyramid source code and implemented the flow in Clojure. We also had to implement automatic logout and all the behaviors of the pyramid web app. This kind of authentication mechanism needs to be embedded in each and every service that we’ll create. Including it as a library would solve the problem but it means that every update to that library might require upgrading and re-deploying all services. In addition, we had to configure nginx to route properly between our pyramid web app and the new retention reports service. 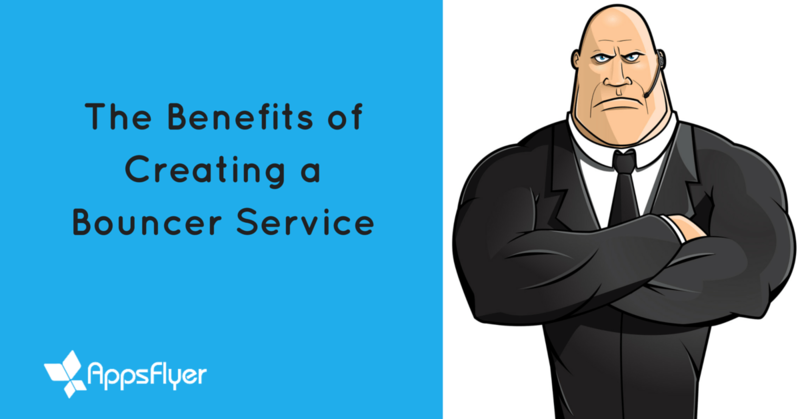 In order to simplify our lives we decided to create a central service called Bouncer. As its name suggests, it stands at the entrance of our system and decides who can access and where he/she can access. 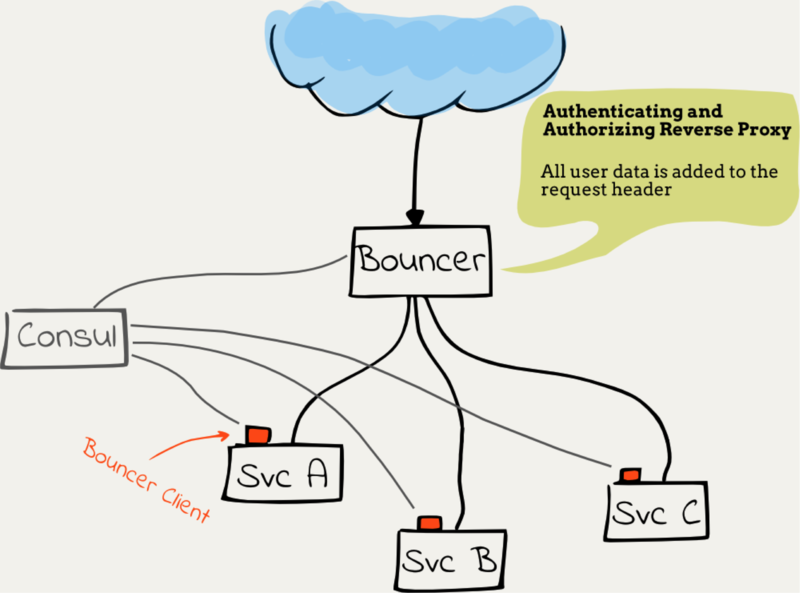 Bouncer can be described as an authenticating (and authorizing) reverse proxy. It draws inspiration from the Gogeta project and extends its concept with authentication and authorization. For the sake of saving the need to access a central user data service from every backend service, the Bouncer adds a user data header to the HTTP request which is sent to the backend service. This helps reduce the complexity and external dependencies of the backend service. In order to perform its job, the Bouncer is dependant on external data such as the user and app database which holds the domain data about the users who can log to the system and their relations with the apps. Instead of going for the traditional architecture of request/reply possibly with caching, we went for an architecture of continuously listening for updates to the this database and manipulating an in-memory representation of this data that fits our use case. I will elaborate on that later (hint: rule engine). As we are working with CouchDB to store our domain data, we get the benefit of using its changes feed as an input stream. Another stream of incoming data is the routes configuration. We use Consul to communicate this data between the backend services and the Bouncer and use Consul’s blocking queries in order to emulate a real-time input stream. In order to offload as much burden as possible from the backend service, we decided to make the authorization convention based. The routing uses Clout syntax. We defined reserved keywords that when used in routes defined by backend services will restrict access to that route on the bouncer level. For example, one of these keywords is :app-id. When used in a route it will proxy the call to the backend service only if the logged user can access that app, otherwise a 401 unauthorized HTTP response is sent back. This we believe will cover most of the authorization cases (80/20 principle). For backend endpoints that require fine-grained authorization control, the Bouncer adds a header that holds the record of the user data. As our domain model evolves and gets more complex with greater access control requirements such as providing sub users account access only to several apps belonging to the account or limiting their data access only to a certain date range, we wanted to keep authorization rules as maintainable as possible. To achieve that we used a rule engine named Clara Rules, which allows us to keep these rules succinct. The diagram above illustrates the structure of the Bouncer and its building blocks. Let’s go through the components and describe their responsibilities in a few words. Opens an HTTP stream to the master users and apps database (the main entities in our domain). It translates the HTTP stream into a core.async channel that is used in process. By comparing the two states it will infer that the the user is not longer an admin, and will send a UserAdminPrivilegesRevoked event to its output stream. The subscribers of the output stream will be able to respond accordingly. This is the heart of the authorization system. It is subscribed to the Domain’s output stream mentioned above and updates the facts that its internal rule engine uses. The external API it exposes is a simple function that receives a user record and a url he would like to access and return whether the user is authorized or not. If these conditions are fulfilled, the request will be directed to the backend service as it is registered by the Service Spec component. In case the user is not authenticated, it will be displayed with a login page provided by the auth app component. Constantly listens to updates from the Consul for backend services location and configured endpoint URLs. A simple web application that provides a login form handler and a logout handler so that the unauthenticated user will be able to login. So what does the future hold for the Bouncer? Our next mission to provide a user interface for account admins in which they will be able to provide users and groups of users fine grained access to certain resources. I hope to follow up this post with another to continue the story of the Bouncer so stay tuned. For the past 10 years Reshef has worked on various web technologies and distributed systems in Intel, SAP and startup companies like Jajah (acquired by Telefonica) and Xsights. Reshef holds a B.Sc. in Information Systems from the Technion.